The Small Business Health Care Tax Credit helps small businesses and tax-exempt organizations pay for health care coverage they offer their employees. A small employer is eligible for the credit if it has fewer than 25 employees who work full-time, or a combination of full-time and part-time. 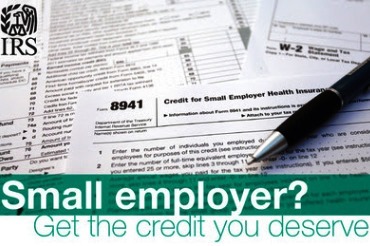 Find out more about the small business health care tax credit at IRS.gov/aca. The Small Business Health Care Tax Credit Estimator can help you find out whether you’re eligible for the Small Business Health Care Credit and how much you might receive. Find out more about the health care law at HealthCare.gov. Previous post: Save the Date! Next post: Attention Biz Owners! We host Viva La Comida every mid September. Stay informed with our festival at our website or visit VivaLaComida.com for more information.